Acton has suddenly become a destination. 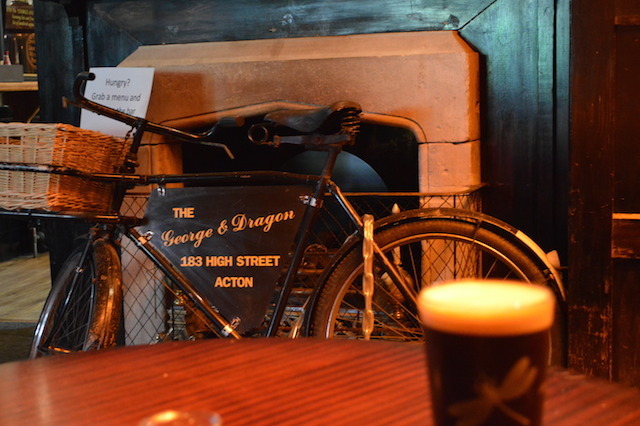 The George and Dragon isn't new — it can be traced back to 1759, and probably has medieval antecedents — but the smart new microbrewery round the back now makes this place very interesting. The second you walk in the door, a 'wow' will leave your lips. The entrance room is a pure slice of history, with rich, dark wood panelling, a golden bust and a three-quarter length portrait of a cavalier. 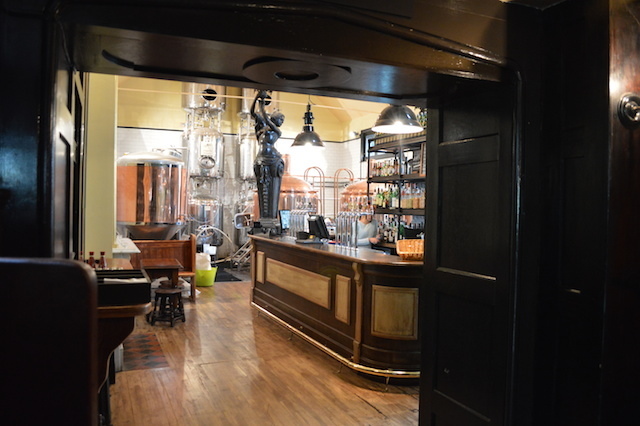 You then pass through another ye olde room with a period fireplace and emerge into the back bar. There, a second 'wow' will leave your lips. 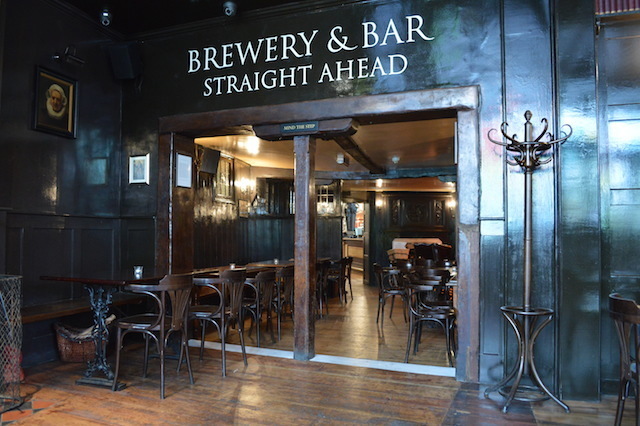 The pub's new microbrewery isn't exactly 'micro'. 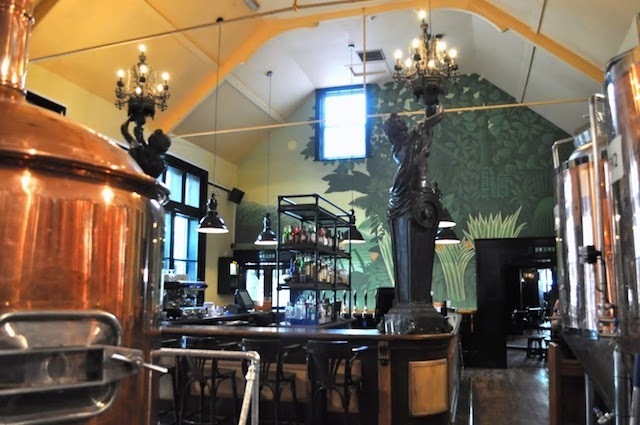 Dubbed the 'Dragonfly Brewery', the former dining room is dominated by huge copper fermentation tanks and two oversized nymph statues. We've never seen anything quite like it. The brewery recently got a new manager, and we've yet to try his creations, but are gagging to go back soon. It's enough to make us want to move to Acton. 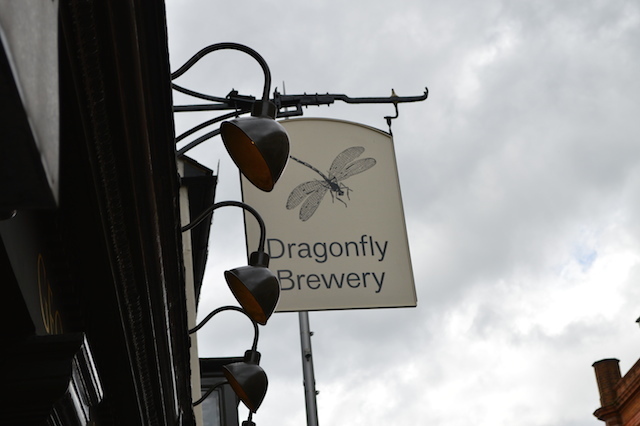 On Twitter as @DragonflyActon. On Facebook. A view of the pub's giant mural and oversized nymphs. This photo kindly provided by the pub. 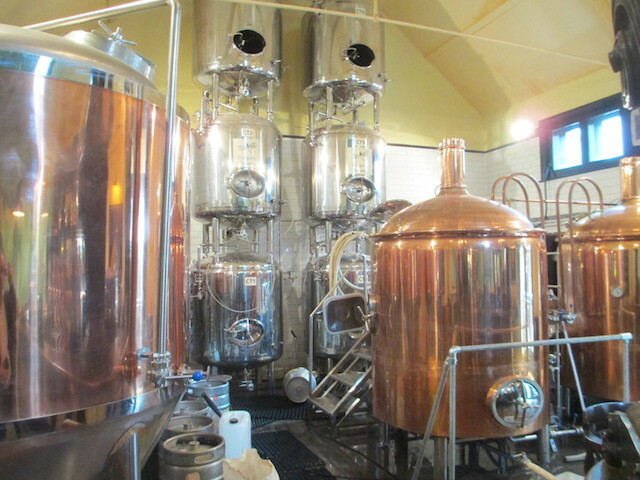 Huge copper fermenting tanks dominate the bar.